NEW YORK--Alcoa (NYSE:AA) announced today that Roy Harvey has been promoted to Chief Operating Officer for the Company's Global Primary Products (GPP) business effective immediately. He will focus on the day-to-day operations of Alcoa's 22 aluminum smelters and nine alumina refineries worldwide, as well as bauxite assets in Australia, Brazil, Jamaica, Suriname, Guinea and soon Saudi Arabia. Prior to his promotion, Harvey was GPP Chief Financial Officer. He is a member of Alcoa's Executive Council, the senior leadership team that sets strategic direction for the company. Succeeding Harvey as GPP CFO is Leigh Ann Fisher, who had been Group Controller for GPP. Fisher will also become a member of the Executive Council. "Roy has an impressive international track record, leading complex operations in Brazil, Spain and Central America," said Klaus Kleinfeld, Alcoa Chairman and Chief Executive Officer. "As an experienced CFO Roy has acute financial expertise and operational insight. And his investor relations background gives him a strong appreciation for the expectations of shareholders, which he has demonstrated by bringing discipline and rigor to operational and financial processes. Harvey became Chief Financial Officer for GPP in 2011. Previously, he served as Director of Investor Relations, serving as Alcoa’s principal contact with investors and financial analysts. Additionally, Harvey was Director of Corporate Treasury, where he was instrumental in developing an extensive enterprise risk management program. Harvey joined Alcoa in 2002 as a business analyst for GPP’s global casthouse network. He also was plant manager for the San Ciprián, Spain, smelter and Director of Finance and Business Integration for GPP Europe, leading the finance and casthouse teams. In addition, he was casthouse manager and plant controller in São Luis (Brazil). Harvey graduated with honors from The Wharton School of Business, University of Pennsylvania, simultaneously earning master’s degrees in international business and corporate finance as a fellow of the Lauder Institute International MBA program. He also holds a bachelor’s degree in mining engineering from Columbia University. In 2008, he was named to the prestigious Young Leaders Program of the World Economic Forum. In her new position as CFO for GPP, Fisher is responsible for managing finance and business analysis for Alcoa's worldwide primary products system. During her Alcoa career, Fisher has served as Group Controller for GPP and for Alcoa's Engineered Products & Solutions business unit. She also worked as Director, Energy Development, US Primary Products in Knoxville, TN where she led financial analysis and modeling in support of the repowering efforts for US Primary Products. She has also performed roles in Financial Shared Services in the Pittsburgh Office and helped develop the current Alcoa finance processes that are widely considered to be best practices across the industry. Fisher joined Alcoa in 1989 at Alcoa’s Tennessee Operations after receiving her bachelor's degree in Accounting from the University of Tennessee. She also obtained her CPA from the Tennessee state Board of Accountancy in 1990. 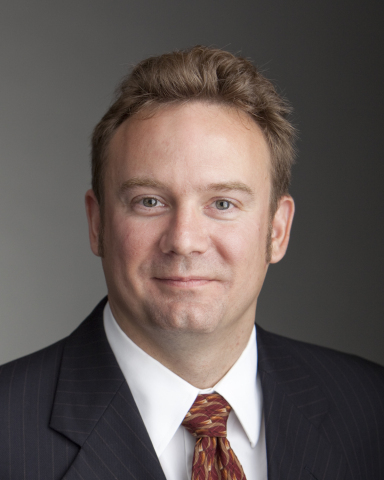 Roy Harvey was named Chief Operating Officer for Alcoa's Global Primary Products business. Leigh Ann Fisher was promoted to Chief Financial Officer for Alcoa's Global Primary Products business.